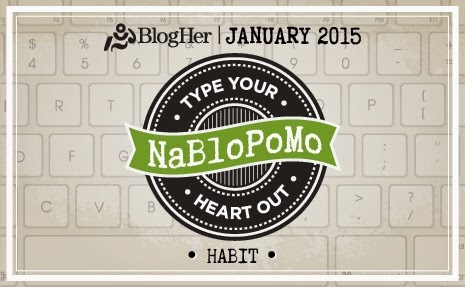 Yes, 2015 is all about habit tweaking for this lady. Hear me out. For starters, you really aren't starting the year off "fresh." I don't know about visitors to my blog... are you parents? I have three children, and as long as they are still under this roof, regardless of still living at home, being on high school winter break or have traveled across the country to spend winter break from college with the family, well, things can still get pretty nuts. Plans are all up in the air. Here's Tuesday's vlog post for This Is Fifty With Lil YouTube Channel. Like, Subscribe, Comment, and visit often. I'm having loads of fun with my new hobby and learning new things everyday. This is my first time to your blog Lil and I love it! Your Vlogs rock too! I'll be back. You've been warned! :D Happy New Year!